A bonus water geomorph for you! I wanted to see what a difference thickness of line to denote the water’s edge would make as well as making the water come in from the centre of the grid to aid with lining it up with other geomorphs. 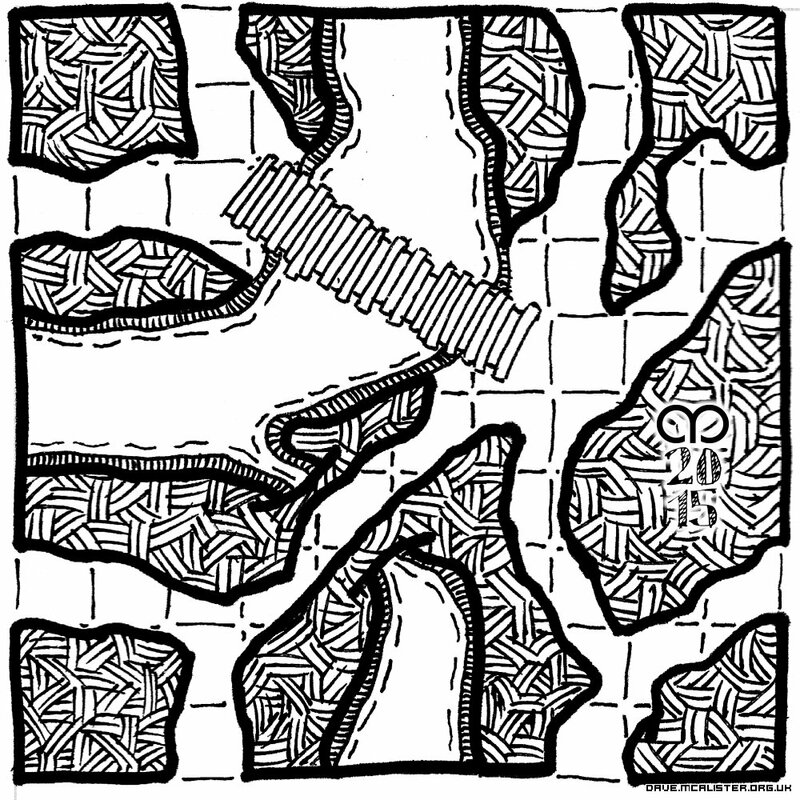 I also went with a larger, drawn, image to try something different (drawn on an A6 Gamers’ Notebook from SquareHex.co.uk) and “stole” Dyson’s Dodecahedron’s grid-marking technique (I hope he doesn’t mind). As with the other water geomorphs, I’ve submitted them to the latest Inkwell Ideas #GeomorphMapContest (the theme for which is water).